Willard Tubbs was born in Wisconsin in 1906 to Wales and Cora Bell Lewis Tubbs. He attended school in North Dakota and graduated from high school in Montana before coming to Oregon in 1927. 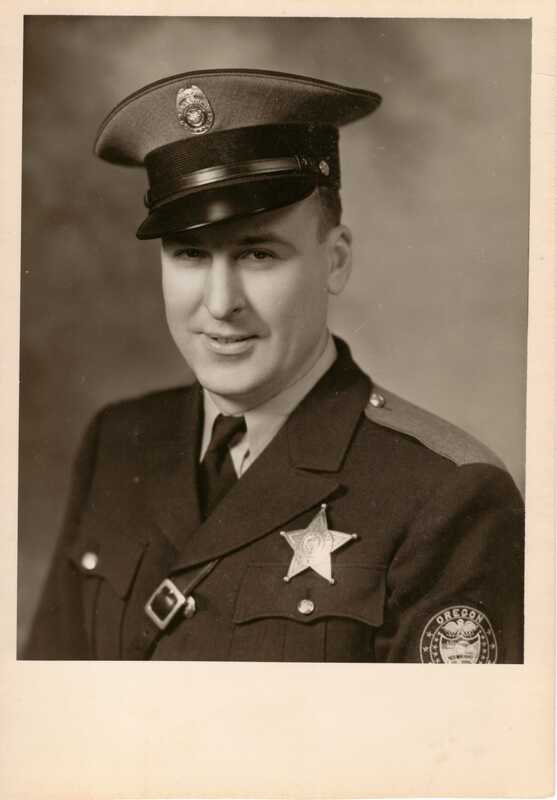 He held several jobs in the construction industry and had been in the National Guard for eight years before applying for a position with the Oregon State Police in 1931. He served with the Oregon State Police for eight years, in The Dalles, Pendleton and La Grande, before being assigned to Arlington On the afternoon of June 21, 1939 Private Tubbs was called to assist the local Arlington Town Marshal, Webb Turner, in pursuing a suspect named Lee Collins wanted for forgery. Earlier that afternoon the suspect had overpowered and escaped from the Marshal at a service station when an attempt was made to take him into custody. Trooper Tubbs arrived at the service station and he got into Marshal Turner's car. They saw the suspect's vehicle parked at the side of the road five miles outside of Arlington. When they exited their vehicle Collins pulled a gun from a shoulder holster. Trooper Tubbs ordered Collins to drop the gun but Collins dove behind his car and began firing. Trooper Tubbs was shot in the abdomen. He was able to return fire but did not hit Collins. Collins and Marshal Turner exchanged more gunfire and Collins eventually surrendered after being shot by Turner. By this time there were several people at the scene. Marshal Turner requested assistance from the others and Trooper Tubbs was placed in a car and driven to a local doctor where he died about 10 minutes after arrival. Lee Collins was taken into custody and committed to the Oregon State Hospital where he died in 1956. Private Tubbs was survived by his wife, the former Frances Smith, two daughters, his brother and sister. He is buried in Grandview Cemetery in La Grande. His wife, who died sixty-eight years later, is buried next to him.